As I wrote on 17 April, CAMRA Southport & West Lancs' contribution to 'May is Mild Month' is to run the Southport Mild Trail throughout May in conjunction with eight great local real ale pubs. 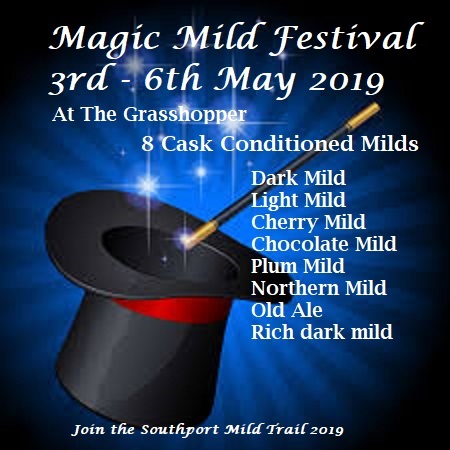 Local breweries – Southport, Rock the Boat and George Wright. The full range of blonde, golden and bitter beers will still be available as usual. There will also be music, a barbeque and Morris dancing. The Pub Curmudgeon has written a good post 'Never The Twain' on his blog comparing cask beer to craft, and pointing out that many handcrafted real ales could be justifiably called craft. While he's correct, it's an argument that's probably been lost because popular linguistic usage isn't always logical - for example, did you know that 'flammable' and 'inflammable' mean exactly the same thing? I don't have a problem with the existence of craft beer, including keg, and wouldn't refuse to try it, if I knew anywhere I could buy it, but the nearest place I'm aware of is in Manchester, 40 miles away. There were probably closer places that I didn't know about, but the point that craft wasn't generally available was correct at the time. However, such days are long gone and it is now commonplace. In the spirit of experimenting I have tried a few and, as I've previously written, have found that some have been well brewed and have a good flavour. The main difference concerns the method of dispense, and drinking craft is to me like drinking bottled beers, which is something I might do at home or at a party. In the pub I simply prefer real ale. When writing about pubs for the weekly CAMRA column in our local papers, I'll always mention craft beers if they're on sale; I have been writing these for more than three years now and none of our local 800 members have ever complained about it, which tends to counter the 'stick-in-the-mud' accusations against the campaign. Indeed, some CAMRA festivals have even been putting on a craft bar. I know some drinkers who happily drink both styles regularly, and I expect that tendency will increase as the original craft drinkers grow older and the subsequent generations of beer drinkers simply see handpumps, craft fonts and bottles as normal components of pub or bar scenery - not as defining their personal identity. If I'm right, then 'Never The Twain' will become history. Today I don't detect the hostility between vociferous cask and craft advocates that I certainly used to see on some blogs and websites, in the risible antics of BrewDog, and in the letters page of 'What's Brewing', the CAMRA newspaper - but, oddly enough, didn't tend to encounter in the real world. Click on picture to enlarge the map. Southport & Birkdale Sports Club. 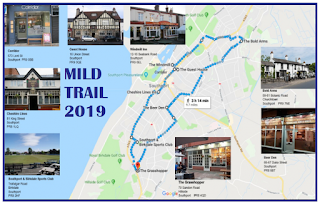 Join the Mild Trail either by using the card printed in the local CAMRA magazine 'Ale and Hearty' or by picking up a Mild Trail card (as shown above) at any of the eight pubs, ordering cask mild at each participating pub and asking them to stamp the card. Completed cards will be included in a draw with a chance to win one of the prizes listed on the local CAMRA website. I wrote a few days ago about how some people can, in my opinion, be quite snooty about Wetherspoon's pubs. In recent weeks I have been hearing another explanation for avoiding them, a more political one. As I said in my earlier post, anyone who chooses not to patronise Spoons because of Tim Martin's strident views on leaving the EU is of course perfectly entitled to do so, but although I completely disagree with him on that issue, it won't stop me using the pubs. Why not? Quite simply, I take the view that Tim Martin is entitled to his views, although I must question the business sense of potentially alienating up to 48% of your potential customers, but that's his problem, not mine. As I also previously said, if I knew the views of senior directors of a lot of pub chains, breweries, or indeed any companies that get money from me, I'm sure I'd find plenty to disagree with. Sensibly from a business perspective, most people in such positions will be much more guarded in their public statements than Tim Martin. This second post on the subject of Spoons was prompted by a friend giving me a few vouchers, saying that she'll never use them because of Martin's public statements on leaving the EU, so I might as well have them. Fine by me. While I'm a very political animal, having been involved in unions, political parties, demonstrations and campaigns for most of my adult life, I accept the principle of free speech. So let's define free speech: it doesn't just mean that you have the right to say what you believe in, it also includes other people having the right to say things that you fundamentally disagree with. In this country, there used to be an attitude of, "I disagree with what you say, but I defend your right to say it", often more simply expressed by agreeing to disagree. Increasingly the attitude is, "How dare you say that! ", very often accompanied by insults and abuse. I believe this change began with Mrs Thatcher because that was very much her approach, but she is not solely, or even mostly, to blame: social media have given very public voices to people with genuinely nasty attitudes who are incapable of tolerating, not only views they don't like, but people they disapprove of, often for irrational reasons such as gender, sexual orientation, ethnicity, religion, political views, or even just because they don't find them physically attractive. In other words, bigots. Bigots don't respect free speech in others, which is one of the reasons why we have laws against the hatred they spew out. The tone of some discussions, especially on-line, has become distinctly unpleasant: calling your opponents 'Brexiteers' or 'Remoaners', by no means the worst terms I've seen, isn't likely to encourage a respectful exchange of views, which is why I have never used them: I prefer 'Leavers' and 'Remainers'. Besides, adults engaging in such silly name-calling is an unedifying sight. Getting back to Tim Martin. As far as I know, he has not demonstrated any bigotry; he simply has very strong views on leaving the EU and has used his public profile to try to persuade others. He is, in short, exercising his right to free speech. Unfortunately, this issue has become so toxic that rational discussion is becoming increasingly difficult, but as long as he stays within the bounds of civilised debate on an issue about which we've all had the chance to have our say through the ballot box, I have no intention of boycotting his pubs. One thing I have observed is that the old convention, one I have never fully agreed with, that you don't talk politics in the pub seems to have gone out of the window. 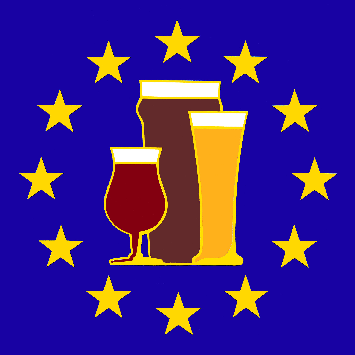 In the last month or so, I have heard several animated conversations in pubs about leaving the EU. The song 'Whiskey in the Jar' is probably most associated with Thin Lizzy, but it is of course an old traditional Irish folk song, and before Lizzy got their hands on it, the Dubliners' version was probably the best known. Thin Lizzy never intended it for release, and were in fact just larking around in the studio when they recorded it. They consequently weren't too pleased when Decca released as a single anyway as it wasn't representative of their sound, although I expect they were to some extent consoled by the higher profile they gained when it reached number one in Ireland and six in the UK. I remember it was on our college bar jukebox and one night at the student folk club, the club organiser got up and announced he was going to sing the song, "the proper version, not that abomination on the jukebox." I remember thinking that I rather liked the abomination on the jukebox. With line-up changes, Lizzy dropped the song from their repertoire, and they never played it on the five occasions I saw them live. However, that wasn't the end of the line for the song. In 1990, the Dubliners re-recorded it with Celtic punk band the Pogues with a faster, more rocky sound. In 1998, Metallica recorded a version similar to Lizzy's, but heavier as you'd expect, even winning a Grammy for the song in 2000 for Best Hard Rock Performance. The song has come a long way from Irish pub folk sessions to heavy metal recognition. The video sows the original line-up of Thin Lizzy featuring drummer Brian Downey, lead guitarist Eric Bell and Phil Lynott on vocals and bass guitar. The Southport and West Lancs CAMRA branch covers parts of two counties: Southport and Formby in Merseyside and, as you'd expect, western Lancashire. Consequently the branch makes two sets of awards, and these are the results. The North Merseyside Pub of the Year is the Sparrowhawk, Southport Old Road in Formby. The Cider Pub of the Year is the Grasshopper, Sandon Road in Hillside. The Club of the Year is the Fleetwood Hesketh S&S Club, Fylde Road, Southport. 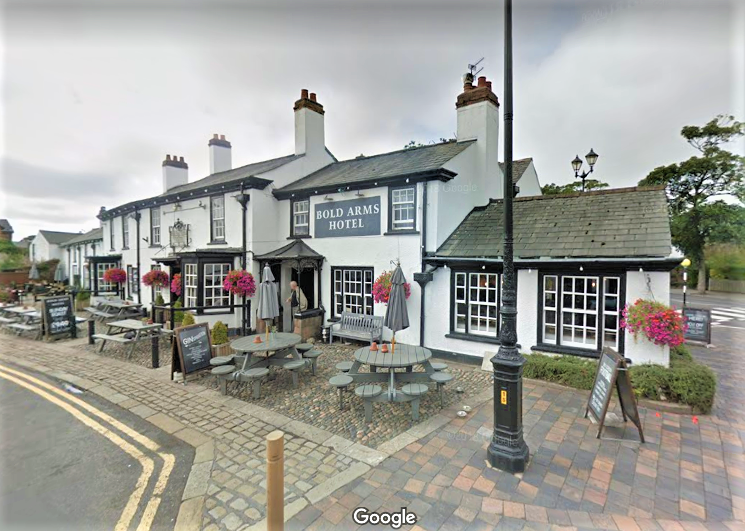 The West Lancashire Pub of the Year is Tap Room No 12 in Burscough Street, and the Cider Pub of the Year is the Court Leet in Wheatsheaf Walk, both in Ormskirk. By coincidence, I wrote about these two pubs in January. No clubs were entered for Club of the Year. 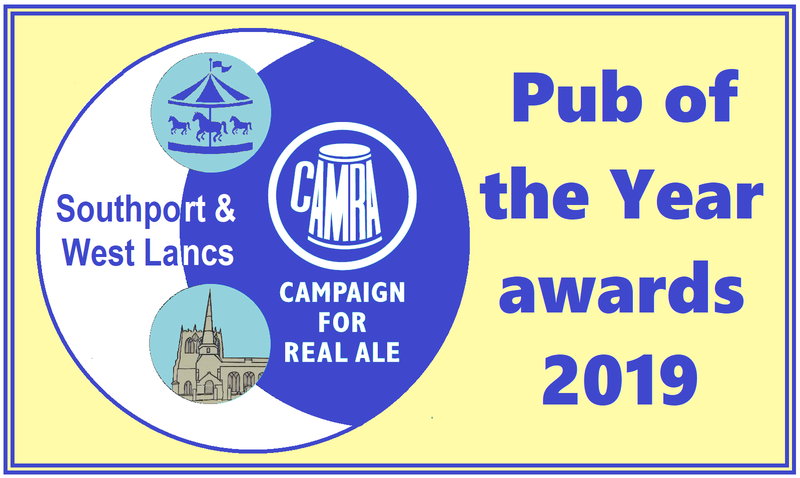 These awards are determined after visits over twelve months by ordinary CAMRA members, and a shortlist is derived from their scores. The pubs on the shortlist are then visited by a team of judges (including Yours truly this time for the cider pub scoring) who make the final decisions. The pubs themselves do not usually know they are in the running for an award. My congratulations to all the winners. 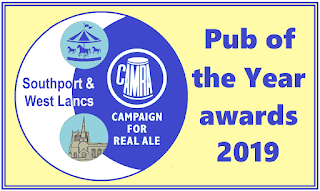 Please note that CAMRA receives no money or payment in kind for making such awards. 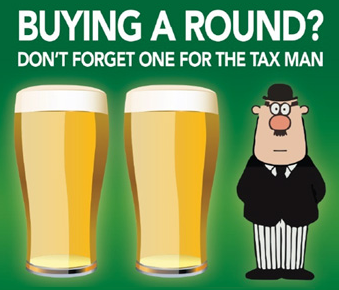 The same applies to entries in the Good Beer Guide; if someone claiming to be from CAMRA asks a licensee for payment in return for an award or for being listed in a beer guide, it is a scam. I have recently heard reports of this happening in the north west. A recent negative comment ("poor food cheap drinks") on a Facebook post about Wetherspoons got me wondering why some drinkers are so dismissive about the pub chain. I accept that Tim Martin is perfectly capable of being complete prat, particularly on those occasions when he spouts his views on issues beyond his immediate business, but if I knew the views of managing directors or CEOs of most breweries or pub companies, I'd probably find quite a lot to take issue with. Anyone who chooses not to patronise Spoons because of Martin's strident views on leaving the EU is of course perfectly entitled to do so, but although I completely disagree with him on that issue, it won't stop me using the pubs. Pensioners drooling into their meals. People on benefits squandering their 'handouts'. Alkies drinking from opening time. And so on. People writing such things are clearly looking down with contempt upon some of their fellow citizens: not an admirable trait. I have never noticed anyone drooling into their food, beer or anything else; I regarded that kind of comment as snobby ageism. How dare older people want to go out for a drink? They should be tucked up at home with their slippers and cocoa, getting increasingly isolated and depressed - but out of sight. Any children I see in Spoons are no worse than those in other family-friendly pubs, and calling them 'brats' is just another instance of snobbery. As for people spending their benefits: first of all, how would you know? And secondly, even if they were, they're entitled to some kind of social life. I've also read a number of times, especially recently for some reason, that CAMRA shouldn't give £20 of beer tokens to its members. Some people seem to think that the beer tokens constitute a subsidy of Spoons by CAMRA; if so, they have got it completely wrong. The vouchers are a CAMRA membership benefit entirely paid for by Wetherspoons, and it's not the only company that provides perks - have a look here - but no one ever suggests that CAMRA should turn those other offers down. This type of whingeing is just a handy stick to beat both Spoons and CAMRA, even if it does involve getting the facts wrong, but that's indicative of the times we live in, unfortunately. There are a number of pubs in Southport that I like to frequent, and they include traditional pubs, micropubs, and Spoons. The one I go to most is the Guest House, one of the most unaltered traditional pubs in the town centre, but on occasion I like to go to one of the town's two Spoons, the Sir Henry Segrave and the Willow Grove. I also like the magnificent North Western in Lime Street, Liverpool, and, although I don't get there very often, the Court Leet in Ormskirk. The Twelve Tellers in a former bank in Preston is also rather impressive. Nearly ten years ago, I wrote how Southport's two Spoons outlets were a thorough disappointment. I'm pleased to say that post is completely out of date today, and a good choice of well-kept beer is available in both. I mention this to demonstrate that I am not an uncritical fan of Wetherspoons, and if I am dissatisfied, I am prepared to say so. From an old local guide that listed every real ale outlet. Perhaps some slightly younger Spoons detractors simply don't know how lucky they are. In the 1970s and 1980s, we would have a thought a pub like Spoons was marvellous at a time when most pubs had only one or two beers on, usually from the same brewery. 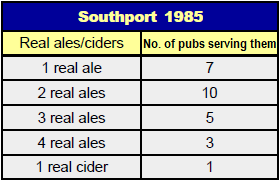 My chart shows the number of real ale pubs in the whole of Southport (not just the town centre) in 1985, categorising them by how many real ales they had on. Nowadays you can get a better choice in the area around the northern end of Lord Street alone. People are of course fully entitled to dislike like Spoons as pubs, but the nature of some of the criticisms has made me wonder whether there are other factors, such as feelings of superiority, perhaps? I don't agree the food is poor: it's good for what you're paying. I also have no problem with cheap drinks. Wetherspoons provides many people on restricted incomes with an opportunity to have an afternoon or a night out with a few drinks and a reasonably-priced meal, that they certainly couldn't afford in an overpriced gastro-pub. Not everyone can afford to be as choosy as you! As the 17th March approaches we prepare ourselves for the annual carnival of Hiberniana. There will be mass parades of emerald green in the big cities: Boston, New York, Chicago, Dublin and even London. It will be a celebration of all things Irish and people will be encouraged to wear ‘the Green’ and sup the famous Irish stout. 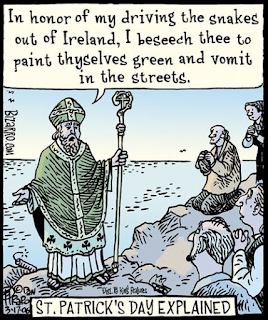 Well, it may surprise some to discover that St Patrick was not even Irish. He was from England. In his diaries he describes how he was brought up in the North of England until the age of 16. He was then kidnapped by pirates and sold into slavery in Ireland. With the advancing and receding shoreline there is no archaeological evidence to identify St Patrick’s home and the place names used then are no longer recognised. However, some historical texts place St Patrick’s home between The Mersey and The Ribble. In my book that puts him in Southport. Of course, the Welsh claim him but then they claim everyone. Last I heard, they were claiming that King Arthur and even Robin Hood were Welsh. So what of the young lad sold into slavery? Eventually he escaped, came home and joined the church. He decided to go back to Ireland to spread Christian culture to the war-like tribes of Ireland and the rest is history. Did St Patrick drink The Black Stuff? There is little doubt that St Patrick would have drunk dark ales. That was the staple drink in monasteries at the time. The malts would have been darker and smokier because of the traditional methods used, resulting in a darker ale. St Patrick would not have drunk anything like the nitrogenised, pasteurised, super-cooled commercial products associated with St Patrick’s Day but would have enjoyed a cask ale much more like our local brews: Parker’s Dark Spartan, Red Star’s Havana Moon or Southport’s Dark Night. What about all this green? For over a thousand years St Patrick was depicted in blue. In fact he had a shade of blue named after him. St Patrick’s blue is a pale blue. The green has come in over the last hundred years or so to make St Patrick seem more Irish. On 16 March, the Grasshopper in Sandon Road, Hillside, has a double cause for celebration: St Patrick’s Day and their 3rd birthday party. They invite you to put on your best blue outfit and join them in raising a glass to St Patrick – Southport’s most famous son. On the same day, the Guest House in Union Street, Southport, is hosting 'St. Patricks shenanigans with ukulele rebels', aka Uke-Rhythmix. Wishing you 'Lá Fhéile Pádraig sona daoibh' – Happy Saint Patrick’s Day. 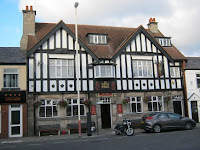 This is a guest post by Andrew Frith of the Grasshopper pub. The village of Churchtown is known for its picturesque qualities: St Cuthbert's Church, the village green, the stocks, thatched cottages and two of the oldest pubs in Southport. The Bold Arms and the Hesketh Arms, listed buildings dating from the 18th century, sit on opposite sides of the village green. I recently visited them, along with one of the resort's newer pubs, Peaky Blinders. All three pubs allow children and dogs, and all have outside drinking areas. The Hesketh is a large pub that has a central bar with several separate drinking areas, various nooks and crannies, and is popular for food. On one wall, I saw this sign: “Dogs welcome – owners tolerated”! The real ales that were on when I called in were: Sharp's Doom Bar, Thwaites Wainwright and Bombardier, which I was told usually alternates with Black Sheep. William Sutton, credited as the founder of Southport, was the landlord here when it was known as the Black Bull. 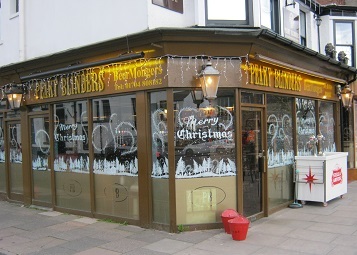 Every Boxing Day, the Southport Swords dance outside this pub as they have done for decades. Strolling past the village green, you quickly reach the Bold. This three-roomed pub is an old coaching house and it too is popular for food. You can watch the big football matches here as you enjoy your pint. Talking of beers, they were serving: St Austell Tribute, Robinson's Dizzy Blonde, Taylor's Landlord, Abbot and IPA (both from Greene King), and Tetley Cask. Their website advertises the imminent launching of a gin club, and I saw that Thursday is their quiz night. Leaving the Bold, you pass the Remedy bar – no real ale, but just the place if you're into gin – and a few minutes later you reach Peaky Blinders. This is an L-shaped bar with modern furnishings and large windows overlooking the road. It is light and airy, with walls decorated with a reproduction of old newspaper adverts and cuttings. The real ales available on my visit were: Taylor's Landlord, Wadworth's Horizon, Black Sheep and Cumbria Way which had run out just before I arrived. Cheese platters and paninis are available. 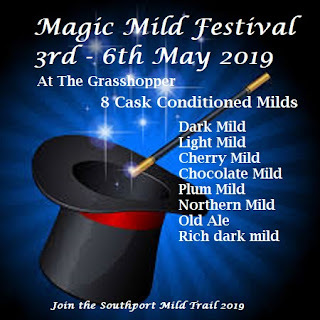 This is one of a series of articles that I write for the CAMRA column in our local papers, the Southport Visiter and Ormskirk Advertiser. Previous write-ups are here. CAMRA Southport & West Lancs Branch has produced a shortlist for the North Merseyside Pub of the Year award. The only traditional pub on the list is the Guest House, Union Street, Southport. As well as offering up to 11 real ales and a real cider, they also hold a popular quiz every Thursday, live music most Saturdays and informal acoustic song and music sessions on the first and third Mondays of the month. Free bar snacks are sometimes provided. The Tap & Bottles in Cambridge Walks, Southport, presents a choice of real ales that you rarely see elsewhere, craft beers and a wide selection of bottled beers. Live music also features here with Grateful Fred's Ukelear Deterrent on the last Tuesday of the month, and an informal acoustic song session on the final Monday. 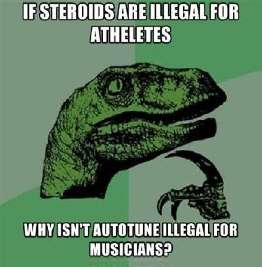 Other musical events also feature. The Grasshopper in Sandon Road, Hillside, has seven real ales and a choice of real ciders. It often holds special events, such as beer and cider festivals, quizes, and Lancashire Night. There is an acoustic song session on the second Wednesday of the month, and CoLAPS, the Coast of Lancashire Ale Preservation Society, meets here on the first Monday. The Sparrowhawk on Southport Old Road in Formby describes itself as a “pub restaurant serving fresh food, cask ales and wine”. It is a gastropub, but one with a good choice of changing real ales and, on my last visit, a real cider. While the menu looks impressive, you are welcome if you simply want to go there for a drink. The Beer Station in Victoria Road, Formby, close to Freshfield Station sells a range of local real ales, quality lager, wines and spirits, with pork pies and other snacks available. They have held Meet The Brewer nights and will present a gin tasting event featuring Turncoat Gin on Thursday 28 February. Coming to a local near you? It was announced last week that the well-known British regional brewer, Fuller's of London, has sold its brewing concerns to the Japanese brewing multinational, Asahi. Fuller's Griffin Brewery in Chiswick is home to the famous London Pride which is popular across the UK and often seen locally in Merseyside and beyond. 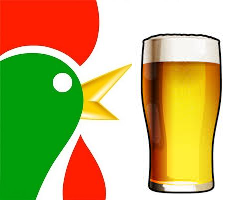 Fuller's will now concentrate solely on running its pubs with Asahi as its primary supplier, so I expect that in the short term drinkers may not notice much difference. Over the years, Asahi has taken over many other breweries, such as Meantime, also in London and mainly known for craft beer, Grolsch in the Netherlands, Italy's Peroni, and Pilsner Urquell from the Czech Republic. As a truly international concern, it also owns many other brands not so well known in the UK. 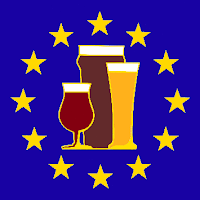 It's always worrying when a piece of Britain's traditional brewing heritage falls into multinational ownership, not for Little Englander reasons, but mainly because the breweries acquired in this manner are in the control of boardrooms thousands of miles away. 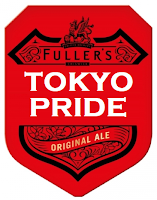 Fuller's has gone from being an independent traditional British brewer to just another brand in Asahi's large international brewing portfolio; as a result, decisions will be made by executives who are unfamiliar with the individual breweries concerned and who would be inclined to see them as little more than entries on a profit and loss account. I expect that some drinkers will say that it's no great loss - someone usually does - but such a 'dog in the manger' attitude is quite contemptuous of the tastes of the many drinkers, the majority in fact, who have no wish to experiment on their nights out and consequently find a beer, or a few beers, that they like and stick to them. 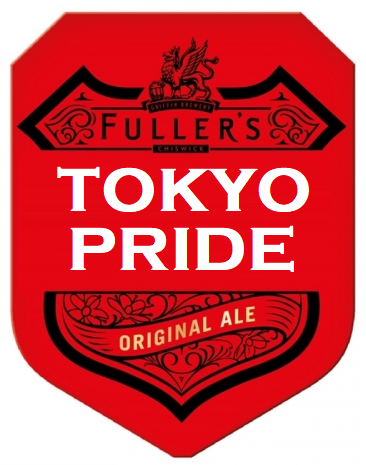 For many such drinkers, Fuller's beers, especially London Pride, fits the bill. There have been all the usual reassurances about maintaining the production of the popular brands on their traditional site, and I do hope that those promises are kept. 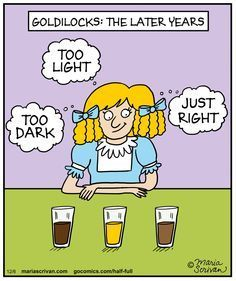 However, beer drinkers with long memories will remember similar commitments were regularly made after takeovers in the past - and almost as regularly betrayed. The fact that Meantime Brewery remains open might give us some reason to hope. Asahi and Fuller's have both expressed satisfaction with this deal and complete confidence in the future of their two companies. As Mandy Rice-Davies might have commented: they would say that, wouldn't they? Peaky Blinders, named after the popular TV series, is a bar and hotel situated in what we now call Northern Quarter. The main bar is prominent on the corner of Lord Street and Seabank Road; next door is their own cocktail lounge, and they provide accommodation above. The bar has been extended to create a lounge area, the décor hints at a 1920s style in keeping with the theme, the seating is comfortable and the large windows allow you to watch the world go by on Lord Street as you sip your drink. I went on a Tuesday night with my friend Alan, expecting it to be quiet on a weekday. It was in fact fairly busy with quite a varied range of customers. I found the two staff friendly and helpful in answering my enquiries. We didn't go into the cocktail lounge (no real ale! ), but I've seen from the outside that it can be busy at weekends. Between us, Alan and I tried all five real ales on offer and found no problems with any of them. Cumbria Way from Robinson's is usually a regular beer, but it wasn't on when we visited. The real ales were: Cross Bay Blonde Sunset; Appleby Hawes Water; and three from Bowness: Gold, Swan Verdi and Amazon Amber. Peaky Blinders has been listed in the 2019 edition of CAMRA's Good Beer Guide. Twelve fonts sell a variety of keg beers from Guinness to Hop House Lager and there's a choice of bottled beers, wines and a wide choice of spirits, especially gin, vodka, whisky and rum. 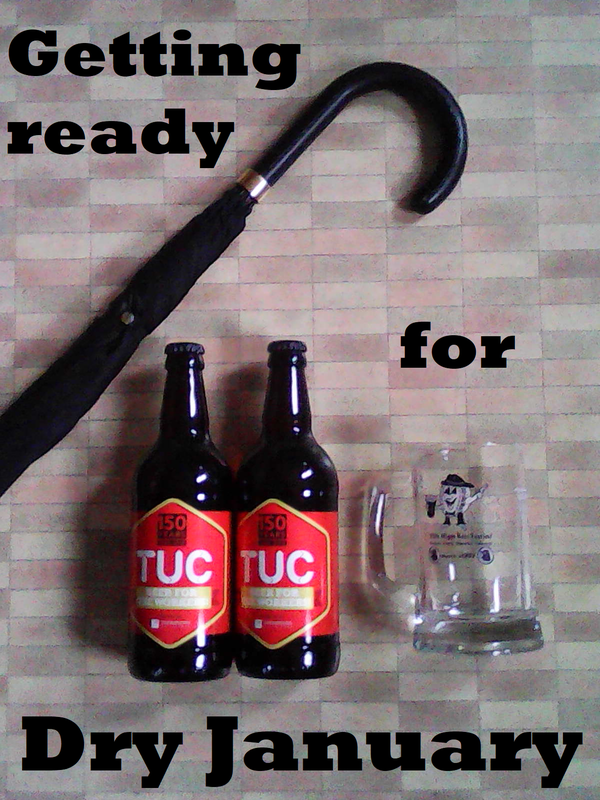 There can't be many drinkers who wouldn't find something to suit their taste. There is an outdoor seating area to the front on Lord Street for when the weather improves. Children are allowed in until early evening and dogs are permitted. They have a website, and also a Facebook page; I noticed that you can hire the cocktail lounge for your private function. The bar is open until 11.30 pm every day except Friday and Saturday when it closes at 12.30 am. 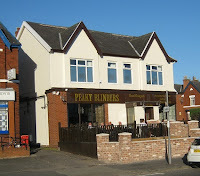 There is another branch of Peaky Blinders in Churchtown which I wrote about last July. 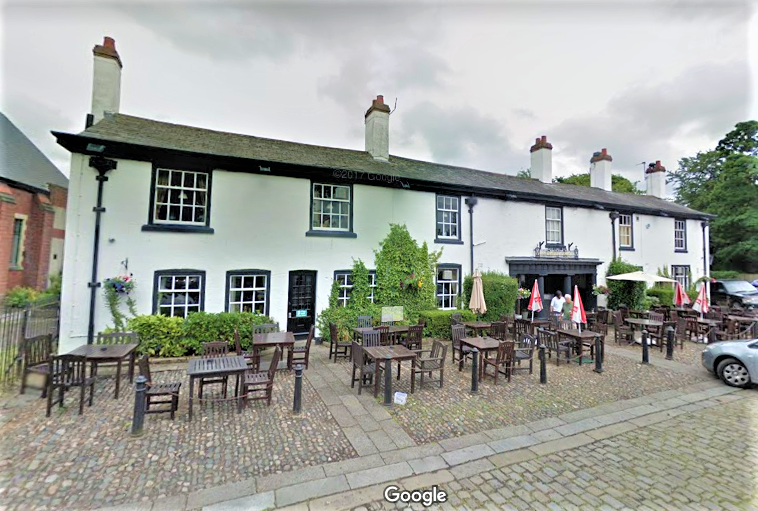 My friend Ann and I decided to pay a visit to the historic market town Ormskirk to stroll around the centre and have a look inside some of the pubs. The market was in full swing when we arrived by train; both the railway and bus stations are just a few minutes' walk from the town centre and all three pubs that we visited. Our first port of call was the Cricketers on Chapel Street. It is pleasantly decorated and consists of the main pub room and an extension called the Pavilion, which is more set up for dining. There is also an upstairs room and a beer garden. Five real ales were on offer: Gold and Hen Harrier both from Bowland, OSB (Old School Brewery) Headmaster and Detention, and Salopian Shropshire Gold. The Cricketers has won local CAMRA awards for West Lancs Pub of the Year in 2015, 2017 and 2018. 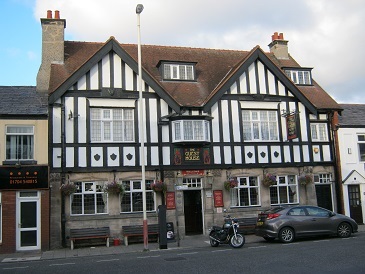 The pub is popular with diners and has an interesting menu; children are welcome. Monday evening is quiz night. A short walk brought us to Tap Room No. 12 on Burscough Street. Formerly a shop, it was converted into a single-roomed bar, and the wooden panels and genuine pub furniture successfully recreate the atmosphere of a traditional pub room. They had the following real ales when we called in: Salopian Oracle, OSB School's Out, Problem Child Rapscallion and Wainwright. They can also sell you 20+ gins as well as craft and continental beers. Although it is a small bar, there are several regular events each week: quiz night on Wednesday, open mike on Thursday and live music between 4.00 and 10.00 pm on Saturday. Our final stop was the Court Leet in Wheatsheaf Walk, just off Burscough Street. The most interesting feature of this pub is its open air balcony on the first floor. The real ales available were: Sharp's Doom Bar, Greene King Abbott, Clipaty Hop and Cheshire Gold, both from Coachhouse, Ruddles Best, Saxon Red Ale and Barbarian both from Parker, and Big Bog Quagmire. Ann was drinking wine and particularly enjoyed the Shiraz. 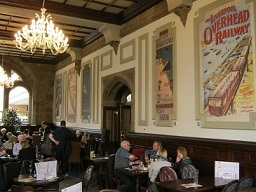 For food, there is the usual Wetherspoon's range, and children are admitted. The beer was in good order in all three pubs, and I hope to write about other pubs in this characterful town soon. The name Court Leet was taken from the original Court Leet which used to run Ormskirk's municipal affairs from a building on this site until its abolition in 1876. Sometimes the town officials would adjourn after their business was concluded to a long-gone pub called the Old Wheatsheaf, after which Wheatsheaf Walk is named. Three unexpected stories from the world of beer that I've come across recently. Seven Bro7hers Brewery in Salford has teamed up with cereal giant Kelloggs to produce a beer out of unused corn flakes. The flakes will be completely safe for human consumption, being those that are too big, too small, broken or overcooked. The first beer to use the flakes will be called Throw Away IPA with a strength of 5%. The limited edition beer will use the flakes to replace some of the wheat grain in the mix. Alison Watson from the brewery said: "Kellogg's recognises that it has an important role to play in reducing food waste, and that includes finding uses for edible food that doesn't make it into the cereal box. We plan to create three beers, including a hoppy IPA which will be launched this month." I had to check the date wasn't 1st April for the next one. 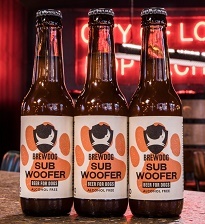 Scottish brewery BrewDog is introducing Subwoofer IPA, which they say is the first beer produced just for dogs. The idea was developed by the Brewdog team in Liverpool, who reported that the prototype was popular with local dog lovers. Subwoofer is made with wort from the brewery, the same malted barley and hot water that are used in their human IPAs. There were three rounds of tasting trials with 25 dogs before the team was satisfied with the product. The beer is hop-free and not carbonated; it is also alcohol-free, which is just as well, seeing that most dogs are under 18. 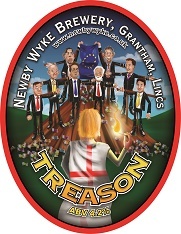 Newby Wyke of Grantham is brewing a beer in response the government's draft Brexit declaration: cheekily called 'Treason', it is a 4.2% ale. They've produced this beer before in relation to government ministers from all three major parties; they must like taking pot shots at any senior politicians who poke their heads above the parapet. Brewer Robert March said: "One landlady said to me politicians and beer do not mix, but I replied they raise the beer taxes, so we can take the mickey. With what is going on with Brexit, I thought we should bring it back." Sometimes our traditional pubs in Southport's residential areas are unfairly overlooked, and yet they can offer you a great night out. I recommend this tour of three such pubs, close to each other and not far from bus routes. I found the real ales in all three pubs were well-kept. The Zetland in Zetland Street is well-known for having one of the finest bowling greens in the North West (booking advised). It is a multi-roomed pub which offers three real ales: Jennings Cumberland is on permanently, and the two guest ales on my visit were Banks's Sunbeam and the popular Wainwright. Although it had been a while since I had called in, I'm glad to report that it's still a friendly local. The Zetland has several regular events: there is a quiz with cash prizes on Saturdays and bingo on Sundays. They have live music about once a month. The Mount Pleasant on Manchester Road is also a multi-roomed pub with a glass conservatory; it has an extensive food menu with various offers and choices for kids. There are usually three real ales: Sharp's Doom Bar is always available, and when I was there the guests were Timothy Taylor's Landlord and Robinson's Trooper. Films are shown on Thursday afternoons, a quiz is held on Fridays and there are live bands on Saturdays. Darts teams play there and big live sports events are shown. The Imperial on Albert Road is also well-regarded for its food, which include special offers, but it also serves four real ales. When I called in, there were three regular beers, all from Holt's brewery: Two Hoots, IPA and Bitter, along with a seasonal guest, Mistletoe from the Bootleg Brewing Co, a beer I hadn't come across before, but found to be a full-flavoured, strong (5%) pale ale. Other features of this pub are TV sport, a quiz on Sunday nights, and sometimes live music. I noticed a sign advertising poker night on Wednesdays. If after all this you still fancy another pint, it's a quick walk, or even quicker bus ride, into the town centre.